Hilary Duff and Lizzie Rosvek were there for Rebecca Marshall’s wedding at The St. Regis Punta Mita Resort, while Mexican celebrities Camila Sodi, Dominika Paleta and José María Torre hung out at the W Punta de Mita. 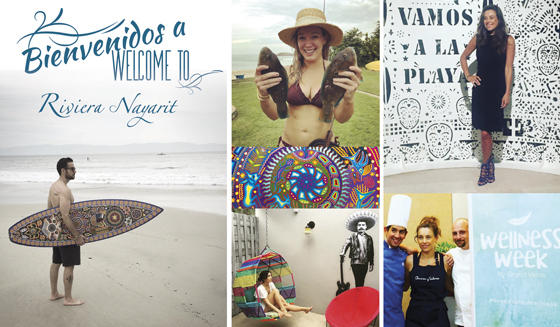 Last weekend was an A-list few days for the Riviera Nayarit. Hilary Duff topped the list, visiting Mexico’s Pacific Treasure with her boyfriend Jason Walsh. Hilary’s traveled to attend the wedding of her friend, Canadian model and actress Rebecca Marshall, who tied the knot at The St. Regis Punta Mita Resort. The wedding was also attended by American actress Lizzie Rosvek, one of the participants on the series The Real Housewives of Orange County. Punta Mita, the Riviera Nayarit’s Glamour Peninsula, proved once again that its luxury and charms are a huge attraction for celebrities on an international level. Meanwhile, Mexico’s celebs also made their presence felt in the Riviera Nayarit, with Camila Sodi, Dominika Paleta and José María Torre appearing as special guests to the grand opening of the Hotel W Punta de Mita. And speaking of Dominika Paleta, it’s interesting to note her recurring presence in the destination: she was here three months ago visiting La Cruz de Huanacaxtle with her sister and just a couple of weeks ago attended the Wellness Week event offered by the Grand Velas Riviera Nayarit. Last but not least, Bob Guiney, who was on the first season of The Bachelorette and later reappeared as the lead on the fourth season of The Bachelor, finally found his true love and was married in Punta Mita.